Robert Finvarb is a graduate of Georgetown University Law Center and has been a member of the Florida Bar since 1993. Following his graduation from law school, he practiced law at Stearns Weaver Miller Weissler Alhadeff & Sitterson, P.A. in Miami. In 2003, he founded Robert Finvarb Companies (RFC) and currently serves as its CEO. Under Robert’s leadership, RFC has become an industry leader in developing, owning and operating mixed-use hotel projects throughout the United States. RFC has developed projects in excess of $1bn of market value, containing more than 3,000 hotel rooms and over 200,000 square feet of retail space throughout the U.S. and the company’s projects have been recognized for excellence by several organizations and municipalities, including, the American Lodging Investment Summit (best hotel project in 2017), Marriott International (Outstanding Contribution), the National Association of Black Hotel Owners, Operators and Developers (NABHOOD) and the City of Miami Beach. Robert is a Founder of Mount Sinai Hospital in Miami Beach, a Diamond Society Member of the Miami Children’s Hospital and is a member of the Board of Trustees of Miami Country Day School..
Daniela Trudel is the Chief Financial Officer for the Robert Finvarb Companies and joined the Company in February 2006. Daniela graduated from Auburn University with a Masters in Accounting in 1992 and has been a Florida CPA since 1995. Daniela has spent over 21 years combined in both public and private accounting, providing her extensive working experience in a broad cross-section of industries. Following graduation from Auburn, Daniela became associated with the auditing and consulting firm of Grant Thornton, LLP, the 6th largest accounting firm in the world. There she served as an Assurance Services Manager for 5 years. In 1998, Daniela became the Director of Special Projects and ultimately the Director of Finance for Blue Dot Services, Inc., a consolidator of air-conditioning and plumbing companies through-out the United States. During her time at Blue Dot, Daniela oversaw the acquisition and integration of over 80 companies into the Blue Dot roll-up. Most recently, Daniela was Chief Financial Officer for Presidential Aviation, a leading private air charter company based out of Fort Lauderdale, FL. Brian Vujnovic joined Robert Finvarb Companies as Vice President & Director of Operations in June of 2014. Brian began his career working in the hospitality industry over 14 years ago in operations. He was a part of Ian Schragers opening team for South Beach’s Shore Club Hotel where he managed all areas of the rooms division over several years. During his tenure with Morgans Hotel Group Brian was a part of the Mondrian South Beach Task Force Opening Team and was also awarded Manager of the year in 2008. In 2009 Brian became General Manager of Sagamore, the Art Hotel in South Beach where he led the successful repositioning the hotel both financially and operationally. Most recently Brian was the General Manager of Miami Beach’s iconic Raleigh Hotel with sbe Hotel group where he partnered with James Beard award winning Chef Michael Schwartz on the redevelopment the food and beverage programming and opening of Restaurant Michael Schwartz. Additionally during his time at Raleigh, Brian restructured the hotel’s marketing, sales, revenue and operational departments resulting in a remarkable financial turnaround for the property. Brian’s responsibilities with RFC shall entail the oversight of all operations over RFC’s portfolio together with being integrally involved with the opening of the company’s 2 new hotels in Miami Beach that are expected to open in the first quarter of 2015. Jake Torres assumed the position of Director of Development & Construction for Robert Finvarb Companies in 2013. Jake graduated from the OHL School of Construction at Florida International University with a Bachelor’s in Construction Management, and has taken advanced graduate coursework in Construction Management at FIU. During his tenure as a student, he held several leadership positions, including the Presidency of the Construction Management Honor Society. Encompassed in his experience portfolio, Jake has been responsible for, and has overseen the construction of numerous projects. Jake worked with Vertical Construction, a General Contractor based in Irvine, California as well as the Owner of Expo Ships on the Sea Fair, the world’s first mobile Mega Yacht Art Venue and one of the ten largest privately owned yachts in the United States. Jake also managed the Operations at BIW Iron, a privately owned construction company specializing in metal work. While working at BIW Jake was able to assemble a joint venture, obtain his General Contracting License and established Tower Construction Management. Most recently, Jake worked with Coastal Construction Group, a South Florida tri-county general contracting company ranked amongst the top 100 construction management companies in the United States. Christopher Simon joined Robert Finvarb Companies in September 2011 as a Financial Analyst. At that time his primary focus was on the analysis of overall hotel performance, investor relations and preparing internal financial reports. In 2015, Christopher was promoted to the Portfolio Asset Manager. As the Portfolio Asset manager, along with his previous duties, he works closely with all hotel leaders and focuses on the implementation of specific revenue and sales strategies to further drive top line performance for all properties. In addition to his active role in the revenue generation of the hotel portfolio, Christopher is responsible for the project management and scheduling of over $12MM in renovation projects. During this time Christopher utilizes his construction knowledge with his revenue expertise to ensure that all properties, undergoing significant renovations, still meet the desired returns to investors. Christopher is also involved with the selection, negotiation and evaluation of leases for the Finvarb Retail Portfolio, which consists of over 30,000 SF of commercial space. Christopher is a graduate from Barry University with a M.B.A specializing in Finance. Talia Sattler joined Robert Finvarb Companies in July 2018 after more than 10 years in hospitality management. She began her career in Information Systems Management and after 8 years she transitioned to hospitality where she was drawn to revenue management. Talia specializes in data analysis and systems optimization to maximize revenue. 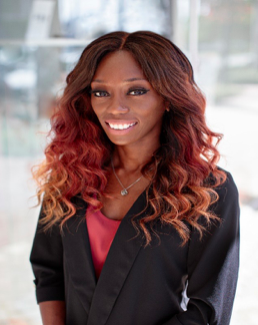 She is primarily responsible for revenue management processes at Hyatt Centric South Beach and also assists with analysis of performance of the portfolio as a whole and individual properties as needed. Through the different companies she has worked for, Talia has had exposure to several different markets, both domestically and internationally and assisted with properties from 10-250 rooms, ranging from select service to luxury. Talia has worked in other properties in the Miami market as well as Portland, OR and the British Virgin Islands. She is a graduate of The American University in Washington DC with a BS in Computer Information Systems.